... giving your energy a boost and helping with a sense of humor! You really couldn’t ask for a stone with a more useful stone for any year of your marriage. It is also believed to boost fertility and stimulate sexuality. Plus the Ancient Egyptians used to believe that it was the sun in a stone and for the Ancient Greeks it was the stone of true love. This is a powerful 17th anniversary gift with a lot of meaning and it is beautiful. It is a stunning red-orange or red-brown stone that can be engraved. You would be in good company as Cleopatra wore Carnelian jewelry and it was very popular in Art Deco jewelry too. On the modern list you can celebrate your 17th anniversary with furniture! 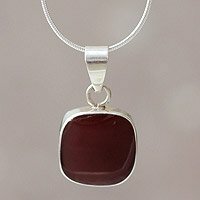 Or you could also look to incorporate your Carnelian 17th anniversary gemstone with an anniversary vacation. The best Carnelian is found in India, and you can also find it in; Brazil, Botswana, Japan, Madagascar, Uruguay and in the United States in Colorado, Florida, North Carolina and Texas.